Pas de Deux Dance Studio has its origins in the Zachari's Ballerinas Summer Program, which ran each summer from 1997 - 2006. Created as a high school community service project, Zachari's Ballerinas gave dancers a taste of ballet without having to commit to a full year program. Classes were taught at a variety of locations over the years: through St Paul Community Education (at Battle Creek Environmental Magnet Elementary, Battle Creek Middle School and Harding High School), in conjunction with the Maternity of Mary - St Andrews summer program, at North Presbyterian Church, and through Saint Paul Parks and Recreation at Dayton's Bluff Rec Center. After the 10th Anniversary of the Summer Program, Pas de Deux Dance Studio began to give dancers an affordable way to study ballet throughout the year. The studio celebrated its five year anniversary during the annual spring recital in May of 2011. The first year, Pas de Deux Dance Studio offered Pre-Ballet (now known as Preliminary Ballet 1), Ballet 1, Ballet 2 and a Performance Class to allow dancers the chance to have extra dances in the Spring Recital. During the first five years, the studio added many classes to its offerings: Ballet 3 and Kinder Ballet (now known as Preliminary Ballet 2) in 2007, Pointe and Teen / Adult Ballet in 2008, Baby Ballet and Pointe 2 in 2009, and Ballet 4 in 2010. May 2011 saw the first group of "5-Year Dancers" - those dancers who have attended Pas de Deux Dance Studio for 5 years of dance lessons - as well as the first graduating senior. The studio has also offered a variety of summer classes and camps to bring dance to more children in new ways, and continues to offer classes through Saint Paul Parks and Recreation with classes at North Dale Recreation Center. In December of 2011, Pas de Deux Dance Studio staged its inaugural production of "The Nutcracker". The studio's production is an optional opportunity for the studio's dancers, as well as other dance students from the surrounding area. The premiere production was an abridged version of the full ballet. Each subsequent production has added in dances as the cast grows, while building on the sets and costumes to continually improve the production. 2015 saw the premiere of "The Enchanted Forest", an original full length story ballet. The production incorporated traditional Irish dance along with ballet. Dancers from throughout the Twin Cities auditioned for the production. November of 2019 marked the premier of "A Sleeping Beauty". A twist on the classic fairy tale, this production used the traditional music in new ways, combining elements of the classic ballet, the Disney animated story, and other retold fairy tales. Pas de Deux Dance Studio is continually growing and expanding. As our most advanced class grows as dancers, the studio grows with them. 2013 introduced the "Senior Solo" to the annual Spring Recital, which gives graduating high school seniors who have been at Pas de Deux Dance Studio for at least two years the opportunity to choreograph and perform a ballet solo of their choosing on stage. Ballet 5 was added to the studio in 2014. In 2014 and 2015, Pas de Deux hosted the youth cast of Moscow Ballet's "Great Russian Nutcracker". Students from Pas de Deux, along with dancers from other local studios, had the opportunity to audition for and, if chosen, perform with the Moscow Ballet during their performances in Minneapolis at the Orpheum Theater. Pas de Deux attended its first dance competition in 2015, with 18 dancers. 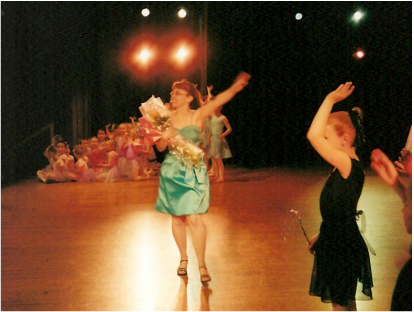 While most dancers compete with their technique class recital dance, they are also able to compete solos and duets, as well as participate in a class specifically created for the competition. Dancers are encouraged to compete for their personal best and learn good sportsmanship skills. In May 2016, Pas de Deux celebrated its 10th anniversary with "Decade of Dance". The celebration included dances from all 9 years of the studio, some new dances for year 10, and our first "10-Year Dancer".